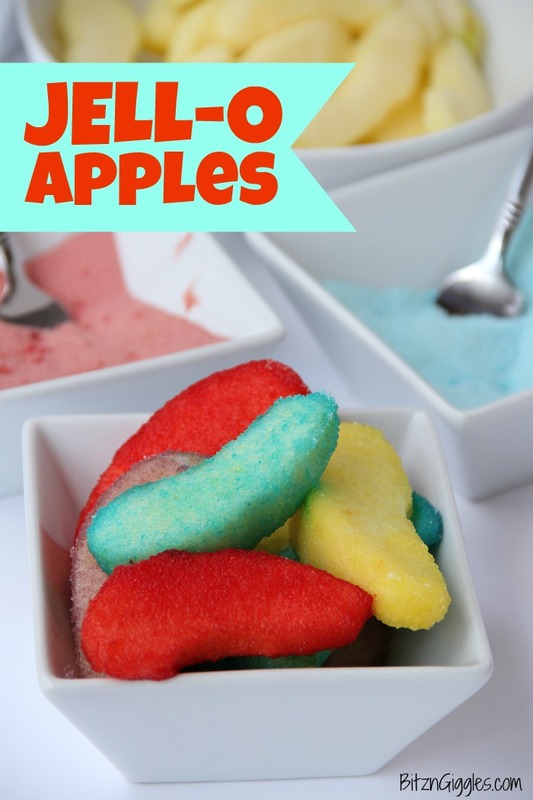 JELL-O Apples – What a fun way to snack on apples! The JELL-O gives the apples a sweetened, tangy kick. Kids love them! I know why you’re here today. You’re here because you’re wondering what the heck a JELL-O apple is. I get it. They look a little strange – especially the red slices. But here’s the deal. They’re quite delicious. Once and awhile you need to surprise your kids with something a bit unexpected. This particular surprise came in the form of. . . apples. I’m cleaning out my lazy susan today again. If you remember, it wasn’t that long ago I had cleaned it out and made these pudding cookies. Well, this time, it wasn’t the pudding that was overflowing, it was the JELL-O. I had A LOT of JELL-O. 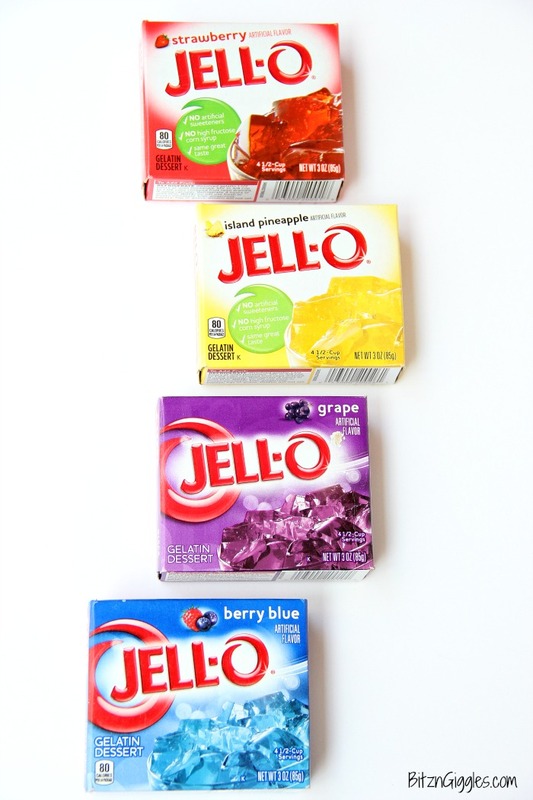 I mean, how much JELL-O does one person need? 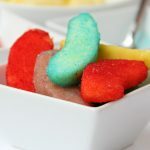 I picked out four fun and delicious flavors for the recipe I’m sharing today: strawberry, island pineapple (what was I ever going to use that flavor for? ), grape and berry blue. If you just want to use one flavor for your apples, that’s fine too. It’s completely up to you. Me? I had an abundance of JELL-O, so I just went for it. I put each of my flavors into a different bowl, cleaned, peeled and sliced my apples – and I was ready to go! I used a fork to help move the apple slices around in the JELL-O. 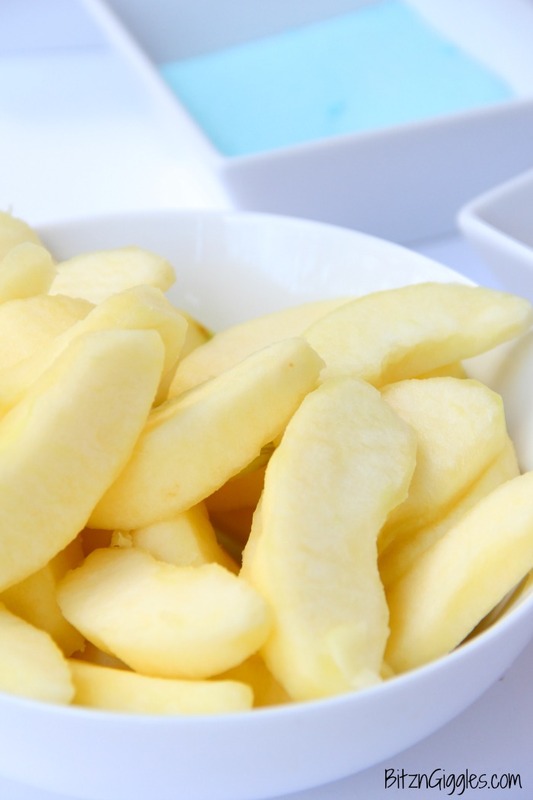 Now, even though some of the flavors, like the grape and island pineapple, don’t have much of a color to them in the bowl, when you cover the apple slices with the powder, the color brightens up because the apples have some moisture to them. See how the yellow and purple come out? 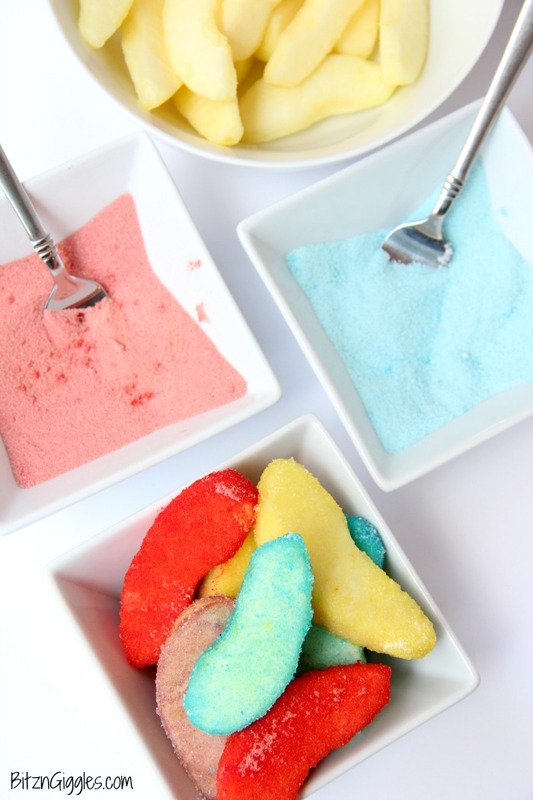 Just look at all the fun colors and flavors you can create! The JELL-O sweetens up the apples and also gives them a little bit of tartness. I really liked the berry blue, but that’s probably because I’m partial to the color. If you love blue as much as I do, you need to try this blue lemonade slush. It’s also made with JELL-O and it’s delicious! 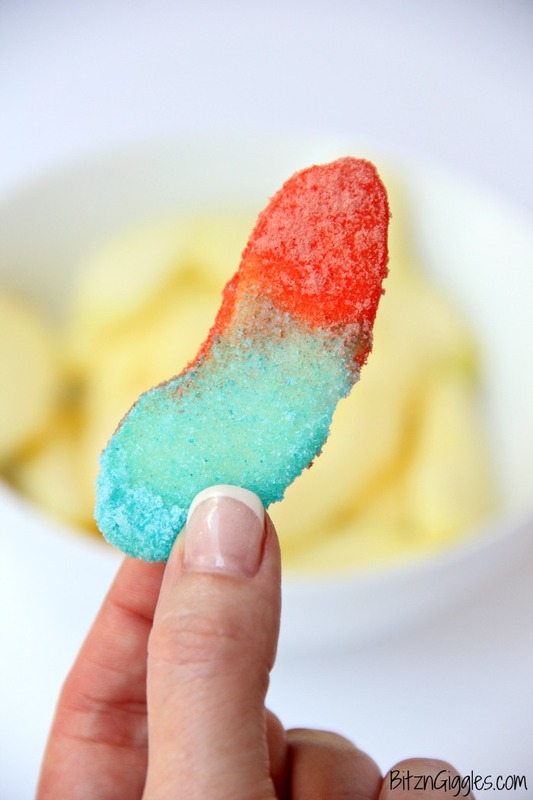 What a fun way to snack on apples! The JELL-O gives the apples a sweetened, tangy kick. Kids love them! 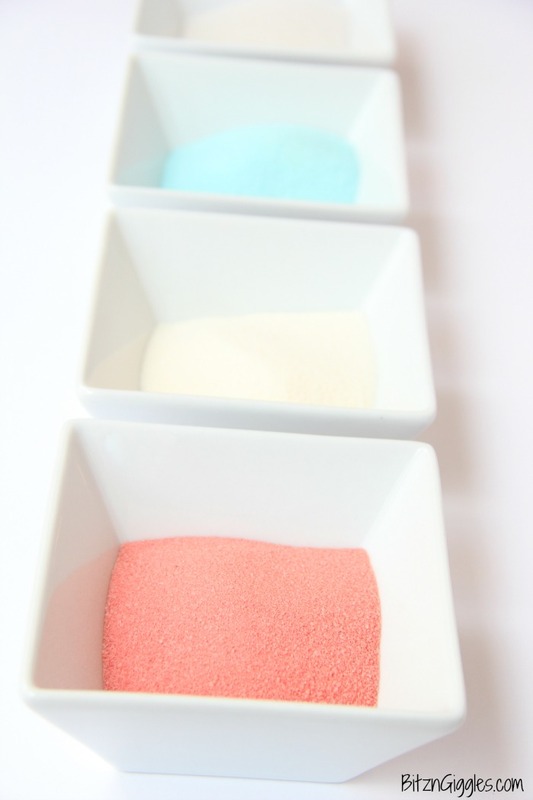 Empty the JELL-O powder into a bowl. If you have more than one flavor, use multiple bowls. 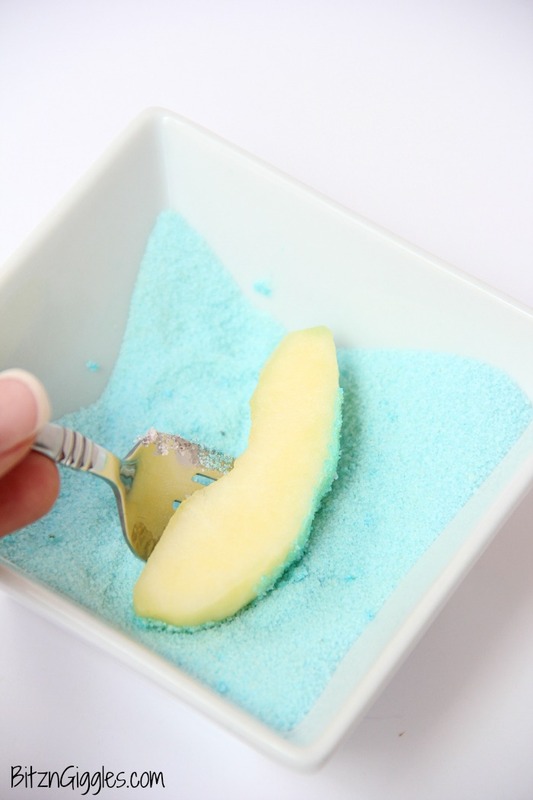 Use a fork to move the apples slices around in the powder. Move finished apples to a bowl or plate. These sound so good Sara. 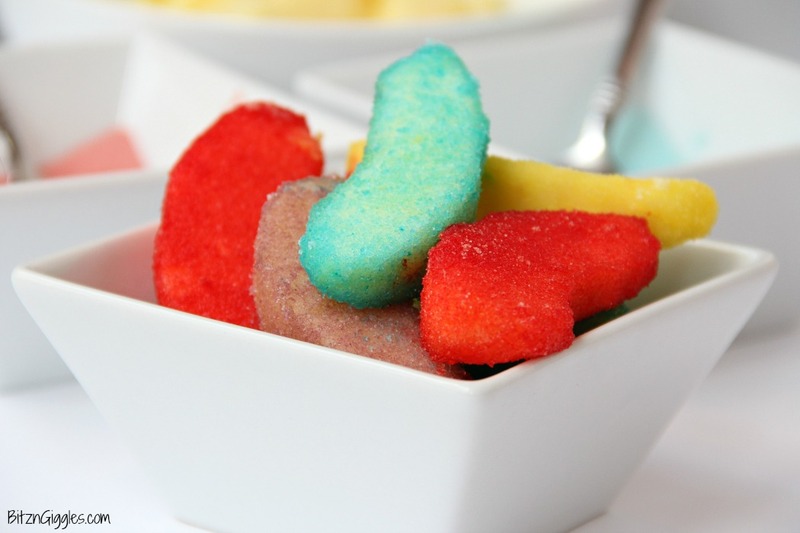 Family of all ages should enjoy an unexpected twist that is a yummy treat. I hope you try them, Ann! A lot of people do something similar with grapes and then freeze them. I personally think the apples are easier to make and they’re delicious, too!